Yes you are correct. You are looking at a picture of ice cream in the snow. I realize you might think this is strange and makes no sense at all. Let me explain. There are two very important details I want to draw your attention to in these pictures. The first is the location. 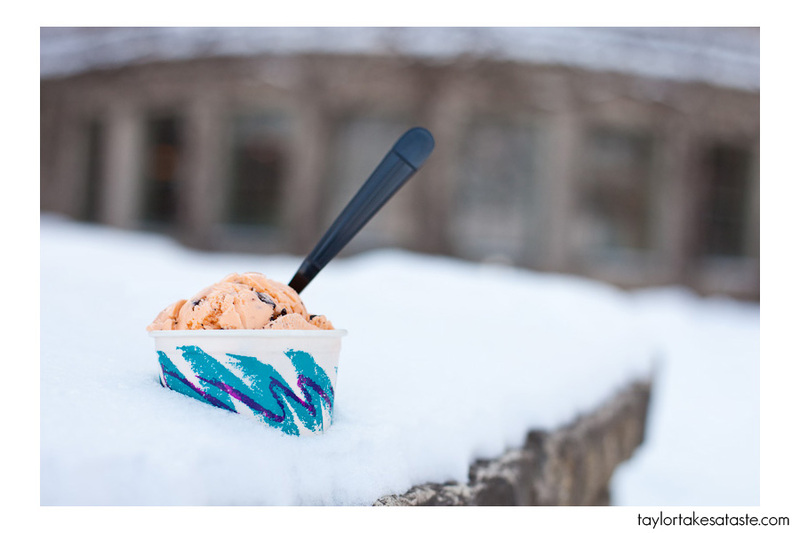 This ice cream cup is sitting in the snow at the Terrace of UW-Madison’s Memorial Union. In my mind Wisconsin’s Union is THE best in the country. It sits on the shore of Lake Mendota and it serves two of my favorite foods, beer and ice cream! The beer and Terrace I will discuss further later in the year. You will have to be patient, but it will be worth the wait. The second detail is the ice cream itself. This is not just any ordinary ice cream. You are looking at ORANGE CUSTARD CHOCOLATE CHIP! Creamy orange custard blended with loads of chocolate chips. The sweet richness of the custard, slight tanginess of the orange, and the bittersweet of the dark chocolate collide to make a memorable combination. Other than being some of the best ice cream I have ever had, this ice cream is special because it is made on campus! Since 1951, the Babcock Hall Dairy store and plant with the UW Food Science Department have been making ice cream, cheese and other dairy products. Does your college make it’s own ice cream? 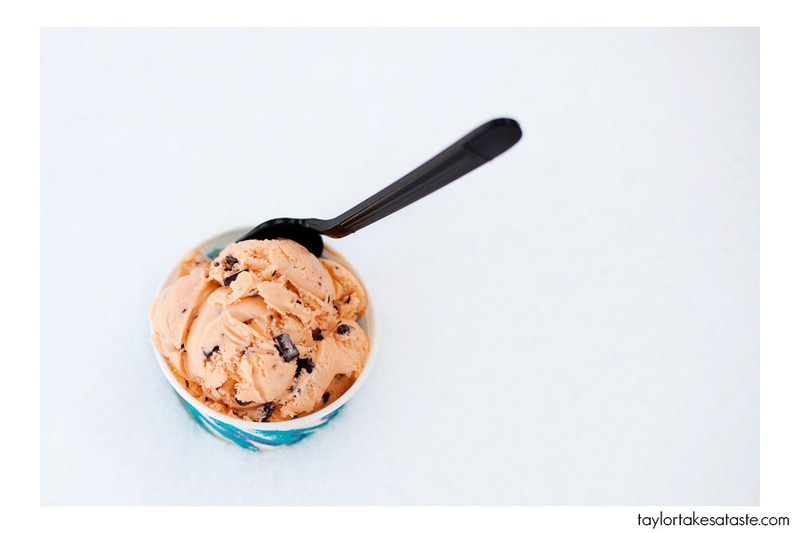 On a photographic note, I have found that 18 degree weather is perfect for shooting ice cream. Wow at 18 degrees. You can shoot the ice cream for hours and not worry about it melting! I’m lucky to shoot my ice cream for 3 minutes. The ice cream sounds great. I’ll have to try and make that flavor one day. my fav flavor!!! this “series” is making me miss Madi! Orange custard chocolate chip is the best! I am glad you enjoyed it ! Thanks for the visit! Thanks for the memories! I loved that orange choco-chip custard. And Memorial Union with a beer. Haven’t been to Mad City since 1982 but I still have fond memories of the Union Terrace in the sunshine. Me too, Margit! 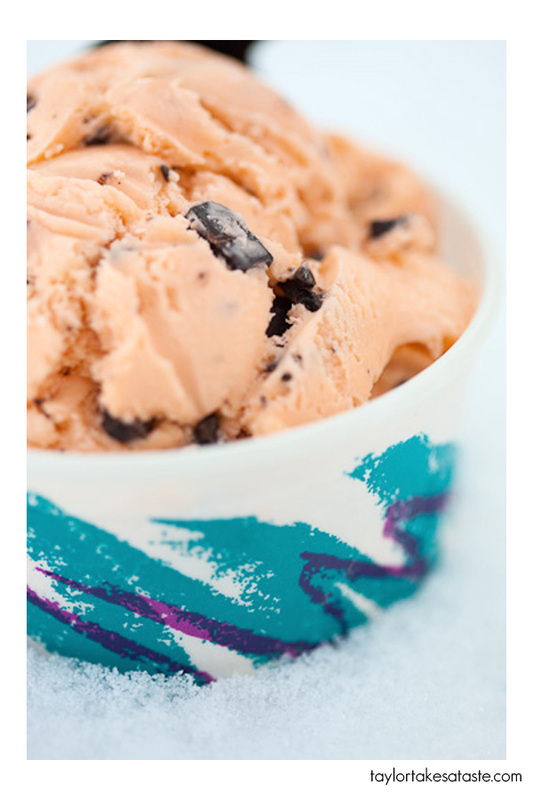 Yet the minute I saw the cup, my mind registered, “Orange Custard Chocolate Chip”. Nice blog, Taylor! I stumbled on it while looking for a source of mail-order fried cheese curds to prep for the Rose Bowl . . .